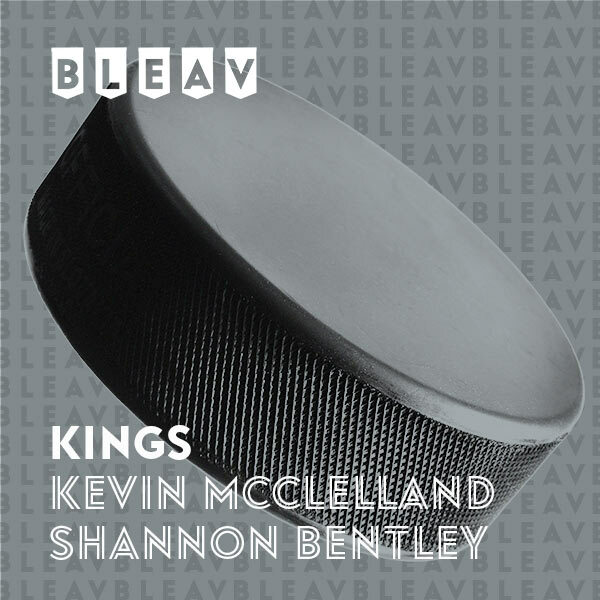 Co-Hosts Shannon Bentley and Kevin McClelland talk LA Kings hockey: review games against the Colorado Avalanche and the St. Louis Blues, how the All-Star break will help with player injuries, their upcoming road trip, and old-school oddities like wood vs composite sticks. Kevin McClelland was drafted by the Hartford Whalers and played the majority of his NHL career at center ice with the Edmonton Oilers, with whom he won four, count them four, Stanley Cups. Kevin impressively played 15 professional seasons and retired with an outstanding 1672 penalty minutes. Post playing, Kevin has spent his time coaching up the next generation. He is a three time CHL Head Coach for Mississippi, Colorado, and Wichita. When he’s not analyzing the Kings for you, he continues to give back, working with young players. Shannon Bentley started her career in TV broadcasting at Sportscenter on ESPN’s Canadian counterpart, TSN (The Sports Network). She went on to produce and host several national network programs including a 1-hr sports program on the Women’s Sports Network. Now, Shannon travels the globe as a Line Producer for the Olympic Broadcasting Services (IOC) – the host broadcast organization producing the live international broadcast coverage of the Olympic Games for all the major networks around the world. She travels to LA every winter to escape the Canadian winter and enjoy the outdoor life & recreation. Her passion for sport carries over to her personal life as a competitive athlete in many disciplines including mountain bike & road racing, stock car & motorcycle racing, adventure racing, ITU World Triathlon Championships and Ironman. Her favorite, however is hockey. She plays in a women’s competitive hockey league, and never misses an NHL game on TV. Go Kings go!